Find the five golden keys and win the trip of a lifetime - a ride on the Wonderland Express to the North Pole! Visit Santa's Workshop, meet Rudolph and the Elves, and ride a Skidoo into town to see the Princess's Ice Palace, the church and the Christmas market! 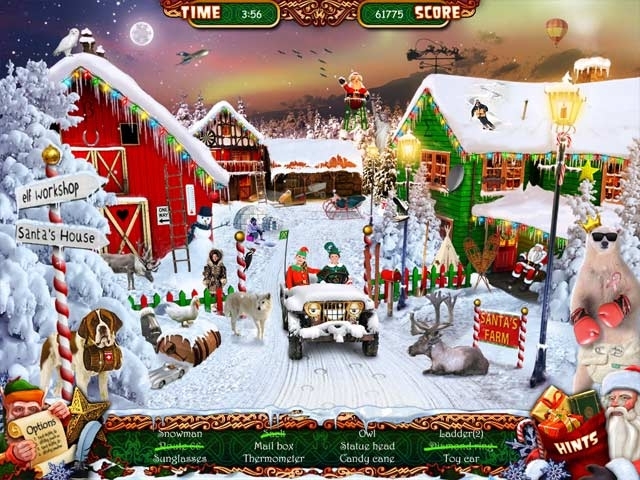 Enjoy beautiful hidden object scenes, play superb puzzles, and enjoy Santa's interactive advent calendar before flying home on Christmas Eve in Santa's sleigh! 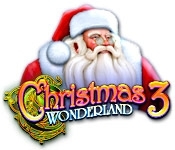 This sensational Christmas game offers holiday fun for players of all ages, and you won't want to miss the big surprise that's waiting for you at the end of this magical journey!